The spirit of international mobility and of the Erasmus+ program, I would say: move, learn, enjoy. When I received the news of my trip to Latvia, I didn’t know what to expect from it. Actually, it wasn’t my first choice. The only thing I knew was that Latvia is a relatively young nation far away from home, in front of the Baltic sea, with very different food and climate. Moreover, the place in which I would have spent three weeks with my group was so small you couldn’t find information about it anywhere, neither on tourist guides nor on the Internet. Thus, I decided to leave without asking myself too much questions. We arrived in Ranka in the evening of the 12th may, after a very long trip from Palermo. Since the beginning, I was surprised from the weather: it seemed like a spring day in Sicily. It was indeed as silent and small as I imaged, with fields and trees and animals everywhere. In the night, it was so dark you could see the stars. And this is something very unusual for someone who has always lived in a big city. There were also the biggest mosquitos I have ever seen in my life. The day after we made a visit of Ranka with our mentor and her assistant and we started to get in touch with the environment and the local people. Here is the second surprise: we found a lot of easygoing people, despite the fact that Ranka is not exactly a place for tourist. Everybody was very different from us but nonetheless (or maybe because of that) very curious of knowing these “volunteers who came from Italy”. Anyway, soon after we started working in the youth center of the city, a really nice place surrounded by flowers and trees. Inside the building, which was previously a school, we found almost everything we needed and more: a big office, a playroom for youngsters full of tablegames and books, a gym and also an escape room which is part of a project about non formal education. 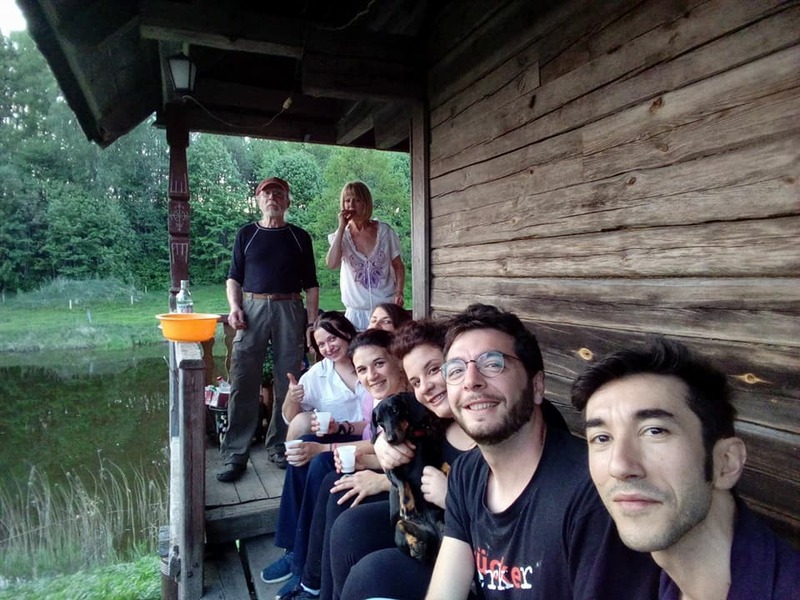 We spent sometime exchanging some more information about our previous work experiences and then, in a matter of hours, we were already working to the activities of the next weeks. Indeed, we were involved in the organization of a real youth exchange which would have taken place on the next week. Although it was our first practical experience in this field, we manage to do a very good job, something for which I will always be proud of myself. Obviously, it would have not been the same without my team and the really useful advices and inspiration of our mentor. We’ve also had the opportunity to met other youth workers of the region of Gulbene who gave us a lot of useful tips about the activity and the world of non formal education in general. In the end, I think I’ve learned a lot from this experience. First of all, I’ve learned how it is important to plan and organize activities if you want to make something good. You have to plan and organize in order to improvise. And I always considered myself a good improvisor, thus it is a really big change. I’ve also learned the potentialities of play in non formal education: play is more serious than I thought. And finally, the best thing of all is that, while learning these and many other things, I had a good time. If I had to summarize these three weeks to catch the spirit of international mobility and of the Erasmus+ program, I would say: move, learn, enjoy.